Unusual shot - mortar and pestle for food prep? Yep, that’s what it is. Took the photo when I prepared the marinade for our raw marinated salmon for Christmas. 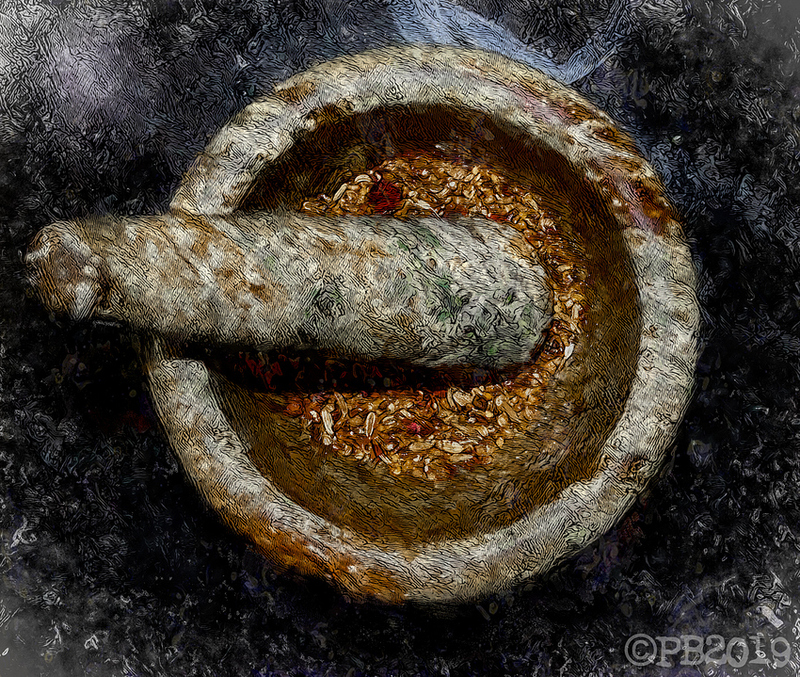 Cilantro seeds, fennel seeds, pepper corns, star anise, juniper berry and mustard seeds. Good work … I like it.